Dr. Laura on The Go, online at DrLaura.com, is the online membership podcast program for Dr. Laura Schlessinger. 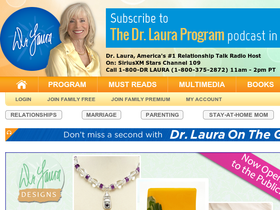 Dr. Laura offers advice on a wide range of topics for millions of listeners daily. In addition to her radio show, Dr. Laura is a top-selling author of 13 adult books and 4 children's books. 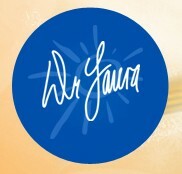 If you're a fan of Dr. Laura, you'll be a fan of Dr. Laura on The Go promo codes, Dr. Laura on the Go coupon codes, and Dr. Laura on the Go discounts from RetailSteal.com. Sign up for a year of Dr. Laura on The Go and enjoy a 15% discount with this special offer. Listen to Dr. Laura on the Go whenever you would like with memberships a slow as $6 per month. Sign up for a yearly membership for Dr. Laura on the Go and they'll give you a free gift. Check out Dr. Laura on the Go Online and you'll have access to 100s of archived shows with membership.